Zach Rubin studies movements and social, and recently helped with a study on decision-making in established intentional communities. We’re thrilled to have this kind of research, showing from a scientific perspective what many of us have long experienced to be the benefits of living in community. Full bio below. I’m a relative newbie to the scene of intentional communities, having had my first encounter only about five years ago. It’s been quite the journey to engage in and unravel the norms that have been developed by people in the communities movement (and beyond) over the 30 year history of the FIC and all the progenitors that came beforehand. I’ve been an activist all my adult life – a pattern that started when George W. Bush ordered the U.S. into the quagmire of the Iraq War which turned a generation of people on to the failings of our country’s leadership to address the real, pressing problems of the world like climate change and inequality. I’ve been to more protests than I can count, and I wrote my Master’s thesis on the annual protests at the School of the Americas. Yet, for all the protesting, things don’t seem to be getting better. So, when it came time to start my PhD program I decided to change the focus of my research to other forces for social change. That’s where I came to intentional communities. Philosophers like Hegel and Marx have written that society changes in a dialectical process – the prevailing idea is challenged by an opposing idea, to the result of the synthesis of a something in between. Intentional communities challenge prevailing norms and ideas of wasteful, alienating neoliberal capitalism in a way that protests don’t: by offering affirmative alternatives to prevailing ideas. In contrast, protest movements are typically a negative, oppositional force. People like me, veterans of protest movements, are sick of screaming in to the halls of power only to watch them turn away and attune their hearing to the class of wealthy donors that all too often set the national agenda. This is not to say that communitarians aren’t also protestors. Indeed, a key part of what I’m finding now in my research is that intentional communities serve as direct action reservoirs, which are social groups more primed for the use of direct action than the rest of the population. Perhaps you have also observed this in your own experience with communities, where people who live a lifestyle that actively questions the legitimacy of society’s norms and rules are more often and more easily roused to participate in direct action. Protests are an increasingly frequent phenomenon today, but still some people are more primed than others to participate. Similarly, communities are also home to the twin phenomenon of direct action retirement occurs, where people like me who get frustrated with the impotency of direct action go to feel like they can have a more palpable impact. It is no coincidence that the popularity of intentional communities rises in tandem with the popularity of protest. We can see this in the historical “waves” of the 1840s and 1960s, where both were times of heightened social conflict that manifested in large protest movements and the rapid formation of new intentional communities. Today, protests have become a more permanent marker on the political landscape than in previous years, and so too has the presence of intentional communities. The metaphor of the “wave” that applies to historical intentional communities (and some still surviving today from the 1960s and 70s) has instead, I would argue, become more of a “tide” because the swell of both protests and communities is occurring over a longer arc of time. 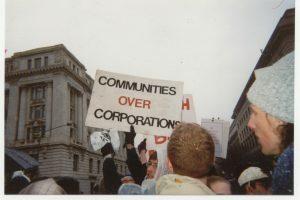 The FIC provides an invaluable service to researchers like me by indexing the growth and persistence of communities with the Communities Directory, which allows us to track the relationship between communities and protest movements to come to such conclusions. One thing is for certain: our society is sick, and has been for a long time. I think we can all agree on that, though everyone offers a different reason why. Intentional Communities might just be the salve we need to heal, depending on how that ailment manifests in each person’s past and relationships. I’d like to be a part of the solution, whatever it may look like. People join intentional communities for all number of reasons. Some want to change the world through a model of sustainable and egalitarian living, like the ‘Rabbits’ that Joshua and I both study. Others come to community for self-growth, which portends change to the more narrowly defined personal world. Yet, what they tend to have in common is the desire for a transformative experience that is within reach, rather than one that feels like desperately screaming into an empty abyss. 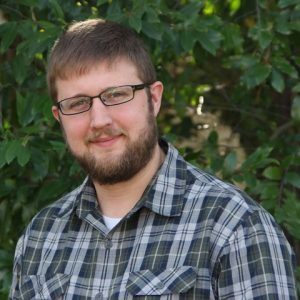 Zach Rubin is a Ph.D. candidate in sociology at the University of Missouri, where he also earned a MA in Geography. His dissertation research is focused on present-day intentional communities known as “ecovillages” and their connections to social movement theory. In particular, his research site is Dancing Rabbit Ecovillage, where he spent 8 months collecting ethnographic and interview data.